Many of you have been walking with us for a long time. You’ve heard our stories about what we feel God has been preparing us for and you’ve seen the ups and downs, trials and the unknowns we have experienced. Just like us, you are praying and believing for the next steps in our journey! I want to go back and highlight some key points of what we feel the Lord has shown us, a timeline of sorts and then update you on what we feel God is revealing now. Over the course of our 29 years of marriage, Ken and I have been blessed with the gift of hospitality. We have provided housing to many people for various reasons, we have hosted numerous bible studies, Christian events, itinerant ministers and house church. We estimated over 5000 people had been in our last home of 10 years. We heard the Lord speak to us about being a house of refuge. Our sense was that we would provide housing to people who needed a place during hard times (catastrophic events). He taught us much on Emergency Preparedness in a very short time. Many prophetic words were given to us over the years confirming our gift of hospitality, a house of refuge, house church. Some even shared we should own a bed and breakfast. And then…….. God moved us away from everything and everyone we knew, this past February. All that we thought we were made for, we released back to the Lord. We surrendered the promises He spoke to us. This wasn’t easy. It was hard to reconcile all that He had spoken over us seemingly being stripped away…..but we let it go and came to El Dorado Springs, MO with no direction, just simple obedience! When we were moving here to El Dorado Springs, the Lord was telling us to look on the East side of town, and kept hearing off Airport Road. Just 2 days before our moving truck was coming, we found a home to rent, 1 house away from Airport Road and you guessed it, on the East side of the city. We signed a 6 month lease which is up July 30th. The owners are anxious to sell the house! If you remember, there is NOTHING to rent that is large enough or doable. Before we found the home to rent, we felt led to look for homes to purchase all the way back to November when we first learned of moving here,. We have looked at close to 60 houses. We kept “feeling” led to look at homes that would house people, though we had let go of that prior to coming. Unfortunately, none of the properties we looked at appealed to us. We liked the land, not the house. We liked the house, not the land. Or just didn’t like the windy, curvy roads and many I was uncomfortable being in the country completely isolated. I’m still a city girl. I even prayed that God would remove that concern if it was His will. The Lord had been clear, that we would have unity and complete peace when we found the house He had for us. One day our realtor called us and said I have a house for you to look at. It’s not for sale but the owners said he could show us the property anyways. The morning we were scheduled to look at this home, the Lord said, “I want you to look at this house through a different lens. I want you to look at with eyes for a “retreat center, an event center and a bed and breakfast”. Refuge is still part of My plans for you, but I have much for you to do prior to”. As we drove onto the property, Ken and I both felt a peace, unity and a sense of it being the “one”. The house is on the west side of town, just outside city limits, no windy, curvy roads and close to things, yet hidden. The next day after we looked at the property, we had asked the Lord for some kind of confirmation other than our spirits have never been more excited. In our devotional time, a scripture jumped out at both of us. This verse is pretty cool. We currently “live” on the eastern side of El Dorado Springs. The new house is just outside city limits on the “western limits”. Wow!!! A quick glimpse of the property…..and what we feel the Lord is showing us what to do with it. House is a 1 story with a full finished basement – 2 kitchens, 6 bedrooms, 3.5 baths and a space that will accommodate up to 100 people for meetings. (something He showed us last year). The dining room where we would serve most of our guest meals has an incredible view out the back overlooking the larger pond! 27 acres with 2 ponds. 1 of the ponds is small on the front part of the property. We see 4 small solar powered cabins being built on this front 3 acres with screened in porches facing the pond and a nice tree line. We have and are doing research on this – have spoke to the Amish community as well as others. It’s amazing how much is right here at our fingertips! The other pond is a beautiful 1 acre fully stocked and has a nice new dock, with electricity. It even is large enough for paddle boats or a small fishing boat. The property has about 10 acres of solid timber – which we would plan to create walking trails through as well as build 2 more cabins in the woods but with a view of the pond. We plan to build a nice gazebo so we can host weddings & community events. There is ample room to do gardening, even greenhouses.
. Host bible studies, discipleship groups. There is much need here for that. Host marriage retreats – the Lord has connected us to a couple here that offer marriage counseling retreats but often don’t have a place to host them.
. Events – bring in itinerant ministers, prophetic, healing and other great teachers like we have done for the past 7 years. Just a new location. Employ people. We see this has a place to offer work to those in our community. We will need housekeepers, maintenance work, groundskeeper, gardener and more. There is another B&B, retreat center nearby. The lady who owns/runs that one has been a godsend to us and has offered us so much information and tips. She’s even told us how we could be completely booked year round! God is good! Years ago I read a book titled The Upside of Adversity by Os Hillman. In a nutshell, the book was about the Lord giving you a vision, taking you through a long, hard, painful process, testing you on loyalty, faithfulness, integrity and the ability to handle success if given to you. The book focused on Joseph’s life from the Bible. 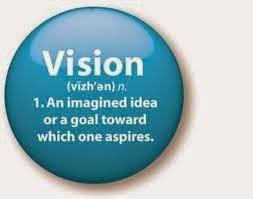 At the end of the book, it showed you how the Lord will take the vision completely from you and replace it with something else or He will give the vision back to you as you are now ready for it. Are we ready? Could this be what God is saying to us??? Ken and I have prayed for years the prayer of Jabez . Could God be granting us our request? We only see and hear in part so we are still in prayer, seeking God for His guidance and direction. Does this sound amazing? Does this sound like who God made us to be? If you want to help, you can by your faithful continued PRAYERS!!! This is a God size vision needing God size provision. 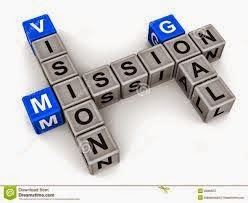 Joni Ames often says with the vision comes provision. Mark Hendrickson says where God guides, He provides. We have seen His faithfulness for years and believe that He has it all worked out. Will you stand with us in prayer and in faith? Will you pray for God’s mighty hand to move so that we can walk into the fulfillment of our purpose, call and destiny. There is so much more I could tell you but this blog is getting long....so if you would like more information, please feel free to contact us!! Thank YOU for your ongoing love and friendship! How can we pray for you? Please let us know! Joni Ames will be in the Kansas City area from 6/4-6/23 and then to SW MO, Nevada, MO, El Dorado Springs, MO & Wichita, KS 6/24-7/5. If you are interested in attending one of her meetings or hosting her, please email me at michele@wantinsight.com.